Xiaomi Chinese Smartphone Giant started the culture of providing great features and sell it in low price in mass. Redmi 2 prime low budget Smartphone is featured with 8 MP rear and 2 MP front camera, Snapdragon 410 Quad-core processor, Dual SIM support, 4.7 inches display, 16 GB ROM/ 2 GB RAM and 2200 mAh battery. Here we will have Short review, Pros and Cons of Xiaomi Redmi 2 Prime. The physical design is same as its predecessor Xiaomi Redmi2; phone made up of quality plastic and it is compact enough, 4.7 inches perfectly fits in hand though back cover feels slippery; rear still has the pleasant matte texture. The 3.5mm audio port is on top Micro-USB charging and data port is on the bottom power and volume buttons are on the right. 4.7 inches IPS LCD capacitive touchscreen is one of nicest display in this price range although it is not protected with any special type of Glass. The sunlight visibility is good along with great wide viewing angle. Qualcomm MSM8916 Snapdragon 410 Quad-core processor having 1.2 GHz clock speed with MI user-interface gives smooth user experience. It has 2 GB RAM which is double of its predecessor Redmi 2; that obviously enhance its speed to some extent but still when the handset is loaded with some heavy apps and games it starts strucking. 8 MP Omnivision image sensor Camera is quite pleasant as compare to its price, photos taken from camera are pretty vivid, Colours are more glaring than Redmi 2; but when the light goes down the quality degrades accordingly. Although it is sure that in sufficient lightening both front and back camera captures great photographs. 2200 mAh battery is sufficient for a 4.7’ phone. But some battery problems are associated with this handset such as heating i.e. quite common. Some of problem can be solved by OTA update. It has Quick Charge technology Charges quicker than other phones. Both SIM slots support 4G. The body weight is light weighing only about 133 grams. Apps cannot be move to SD card. Display is not protected with any special Glass. Heating is still not resolved in Xiaomi Smartphone. Delete all .mkv video files from your device. This handset is upgraded version of Redmi 2 with 16 GB internal memory and 2 GB RAM. other features are nearly same. 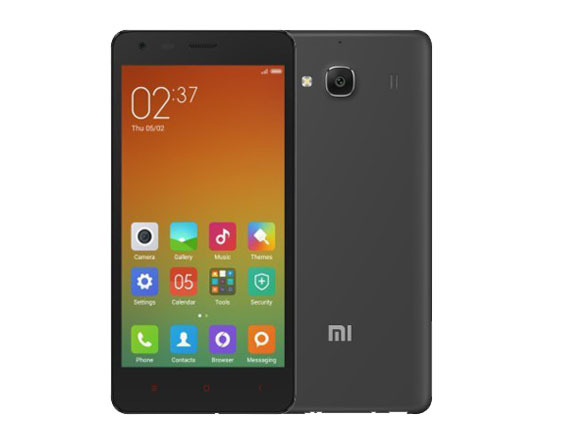 Price of Redmi 2 was 6999 after release of Redmi 2 Prime the price drops down to 5999. And the 6999 price has been fixed for Redmi 2 Prime. All the features are really cool in such a low budget although most of the people are complaining about the battery related problems. If you are searching for alternate you can go for Lenovo K3 Note 3.